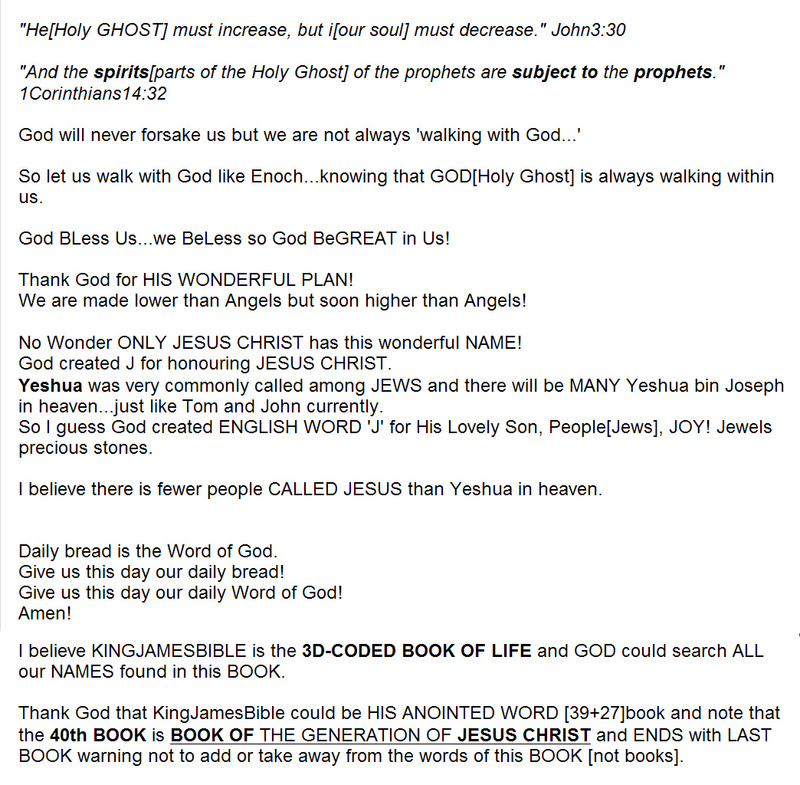 some thru' the fire, but all thru' the Blood"
and many prophets seem as DECEIVERS? and we prophesy in part." but then shall I know even as also I am known." "He must increase, but I must decrease"
but I [our spirits] must decrease! we will really live with Him! that I might live unto God. who loved me and delivered Himself up for me." 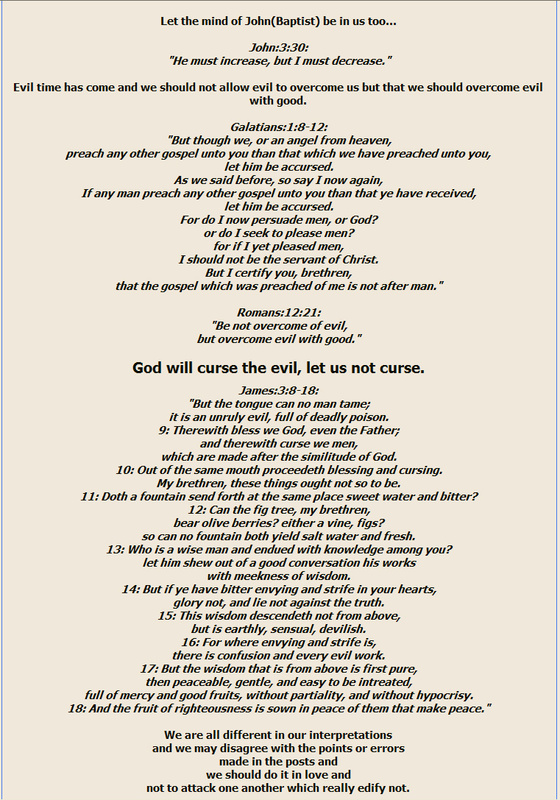 "...as deceivers, and yet true:"
THAT WE WILL KNOW THE WHOLE TRUTH! 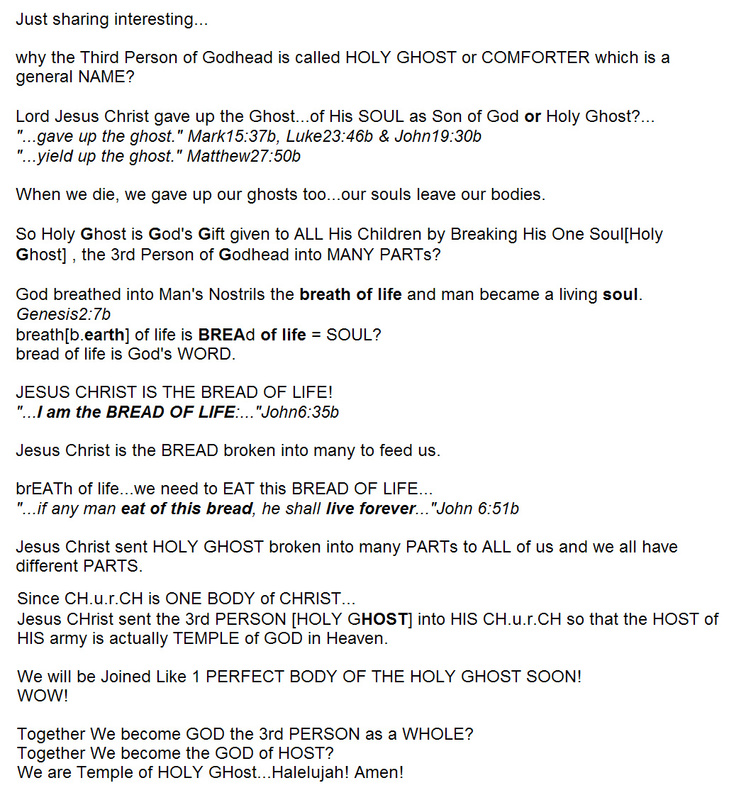 Holy GHOST is in Us! We are the HOST of God! without us should NOT be made PERFECT. that they without us should not be made perfect." there shall be no blemish therein." "Thou shalt be perfect with the LORD thy God." and the third day I shall be perfected." but that ye be perfectly joined together in the same mind and in the same judgment." and the God of love and peace shall be with you." God shall reveal even this unto you." that ye may be perfect and entire, wanting nothing." Jesus Christ worked together with Spirit of God the Father[not by measure, see John3:34] and with Holy Ghost [being full of, see Luke4:1] for certain years before God the Father and Holy Ghost left Jesus the 'sinless Son' to die alone as a sacrifice offering for 'Sinful sons'. Colossians:2:9: "For in Him[Jesus] dwelleth all the fulness of the Godhead bodily." ALL 3in1 before He died sinless as 'Sin offering' for All our sins. John:3:34: "For He whom God hath sent speaketh the words of God: for God giveth not the Spirit[of Father or Holy Ghost? ]by measure unto Him[JESUS]." 1) Luke:4:1: "And Jesus being full of the Holy Ghost returned from Jordan, and was led by the Spirit[of God the Father?] into the wilderness,"
My God[the Father], my God[the Holy Ghost], why hast thou forsaken[fully left] me?" Holy Ghost was FULLY sent to Church during Pentecost and to 7 men among Church. 4 And they were all filled with the Holy Ghost, and began to speak with other tongues, as the Spirit[of God the Father] gave them utterance." 38 "Then Peter said unto them, Repent, and be baptized every one of you in the name of Jesus Christ for the remission of sins, and ye shall receive the gift[note:Singular] of the Holy Ghost. 39 For the promise is unto you, and to your children, and to all that are afar off, even as many as the Lord our God shall call." 44 "And all that believed were together, and had all things common; 45 And sold their possessions and goods, and parted them to all men, as every man had need. 46 And they, continuing daily with one accord in the temple, and breaking bread from house to house, did eat their meat with gladness and singleness of heart, 47 Praising God, and having favour with all the people. And the Lord added to the church daily such as should be saved." & Acts:6:3: "Wherefore, brethren, look ye out among you[Ch.u.r.ch] seven men of honest report, full of the Holy Ghost and wisdom, whom we may appoint over this business." 4) Acts:7:55: "But he[Stephen representing Holy Ghost being rejected by Israel], being full of the Holy Ghost, looked up stedfastly into heaven, and saw the glory of God[the Father],and Jesus[the Son] standing on the right hand of God[the Father],"
5) Acts:11:24: "For he[Barnabas, son of consolation representing church as sons of Father, see Acts4:36,v22] was a good man, and full of the Holy Ghost and of faith: and much people was added unto the Lord." 6) Acts:13:2: "As they ministered to the Lord, and fasted, the Holy Ghost said, Separate me Barnabas and Saul for the work whereunto I have called them." 7) Ephesians:4:13: "Till we[church Full of the Holy Ghost] all come in the unity of the faith, and of the knowledge of the Son of God, unto a perfect man, unto the measure of the stature of the fulness of Christ:"
me a sure = me a sure PARt of Jesus Christ! Ephesians:4:7: "But unto every one of us is given grace according to the measure of the gift of Christ." 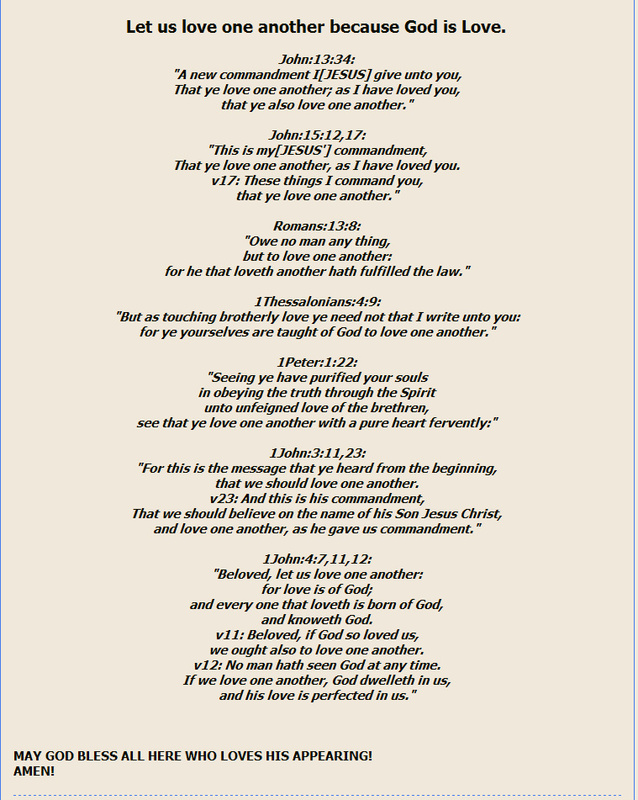 Ephesians:4:13: "Till we all come in the unity of the faith, and of the knowledge of the Son of God, unto a perfect man, unto the measure of the stature of the fulness of Christ:"
Ephesians:4:16: "From whom the whole body fitly joined together and compacted by that which every joint supplieth, according to the effectual working in the measure of every part, maketh increase of the body unto the edifying of itself in love." Roman:12:3: "For I say, through the grace given unto me, to every man that is among you, not to think of himself more highly than he ought to think; but to think soberly, according as God hath dealt to every man the measure of faith." 2Corinthians:1:8: "For we would not, brethren, have you ignorant of our trouble which came to us in Asia, that we were pressed out of measure, above strength, insomuch that we despaired even of life:"
2Corinthians:10:13-15: "But we will not boast of things without our measure, but according to the measure of the rule which God hath distributed to us, a measure to reach even unto you. For we stretch not ourselves beyond our measure, as though we reached not unto you: for we are come as far as to you also in preaching the gospel of Christ: Not boasting of things without our measure, that is, of other men's labours; but having hope, when your faith is increased, that we shall be enlarged by you according to our rule abundantly,"
we are to be careful how or what measure we mete! Matthew:7:2: "For with what judgment ye judge, ye shall be judged: and with what measure ye mete, it shall be measured to you again." Mark:4:24: "And He said unto them, Take heed what ye hear: with what measure ye mete, it shall be measured to you: and unto you that hear shall more be given." Luke:6:38: "Give, and it shall be given unto you; good measure, pressed down, and shaken together, and running over, shall men give into your bosom. For with the same measure that ye mete withal it shall be measured to you again." Matthew:13:33: "Another parable spake He unto them; The kingdom of heaven is like unto leaven, which a woman took, and hid in three measures of meal, till the whole was leavened." Matthew:23:32: "Fill ye up then the measure of your fathers." Mark:6:51: "And He went up unto them into the ship; and the wind ceased: and they were sore amazed in themselves beyond measure, and wondered." Mark:7:37: "And were beyond measure astonished, saying, He hath done all things well: He maketh both the deaf to hear, and the dumb to speak." Mark:10:26: "And they were astonished out of measure, saying among themselves, Who then can be saved?" Luke:13:21: "It is like leaven, which a woman took and hid in three measures of meal, till the whole was leavened." Luke:16:6: "And he said, An hundred measures of oil. And he said unto him, Take thy bill, and sit down quickly, and write fifty." Luke:16:7: "Then said he to another, And how much owest thou? And he said, An hundred measures of wheat. And he said unto him, Take thy bill, and write fourscore." 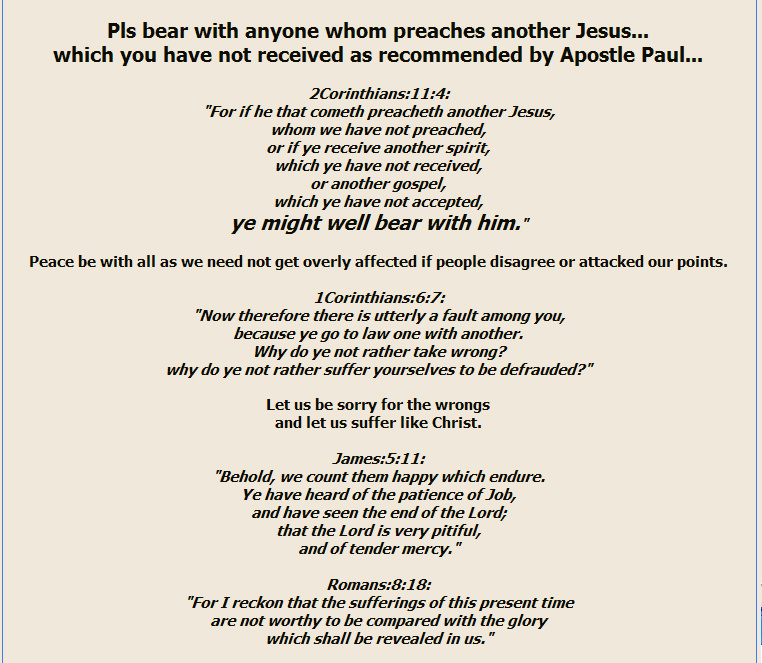 Galatians:1:13: "For ye have heard of my conversation in time past in the Jews' religion, how that beyond measure I persecuted the church of God, and wasted it:"
2Corinthians:11:23: "Are they ministers of Christ? (I speak as a fool) I am more; in labours more abundant, in stripes above measure, in prisons more frequent, in deaths oft." 2Corinthians:12:7: "And lest I should be exalted above measure through the abundance of the revelations, there was given to me a thorn in the flesh, the messenger of Satan to buffet me, lest I should be exalted above measure." Revelation:6:6: "And I heard a voice in the midst of the four beasts say, A measure of wheat for a penny, and three measures of barley for a penny; and see thou hurt not the oil and the wine." Revelation:11:1: And there was given me a reed like unto a rod: and the angel stood, saying, Rise, and measure the temple of God, and the altar, and them that worship therein." Revelation:11:2: But the court which is without the temple leave out, and measure it not; for it is given unto the Gentiles: and the holy city shall they tread under foot forty and two months." different measurements used for city of God! Revelation:21:15: And he that talked with me had a golden reed to measure the city, and the gates thereof, and the wall thereof." Revelation:21:16: And the city lieth foursquare, and the length is as large as the breadth: and he measured the city with the reed, twelve thousand furlongs. The length and the breadth and the height of it are equal." Revelation:21:17: And he measured the wall thereof, an hundred and forty and four cubits, according to the measure of a man, that is, of the angel." 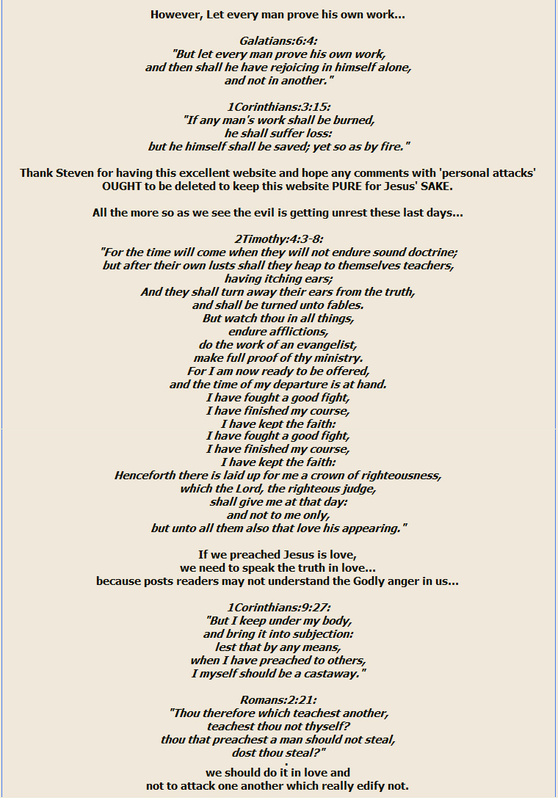 only 7 occurrences of [one measure] verses out of 99 occurrences of [measure] verses in OLD Testament Exodus:26:2: "The length of one curtain shall be eight and twenty cubits, and the breadth of one curtain four cubits: and every one of the curtains shall have one measure." Exodus:26:8: "The length of one curtain shall be thirty cubits, and the breadth of one curtain four cubits: and the eleven curtains shall be all of one measure." 1Kings:6:25: "And the other cherub was ten cubits: both the cherubims were of one measure and one size." 1Kings:7:37: "After this manner he made the ten bases: all of them had one casting, one measure, and one size." Ezekiel:40:10: "And the little chambers of the gate eastward were three on this side, and three on that side; they three were of one measure: and the posts had one measure on this side and on that side." Ezekiel:45:11: "The ephah and the bath shall be of one measure, that the bath may contain the tenth part of an homer, and the ephah the tenth part of an homer: the measure thereof shall be after the homer." Ezekiel:46:22: "In the four corners of the court there were courts joined of forty cubits long and thirty broad: these four corners were of one measure. " Note that there is one word Heaven which Christians are using and confused that Satan is in Heaven because they are looking at Heaven in different aspect. In fact God allows this same Word Heaven to be used to point to Himself. 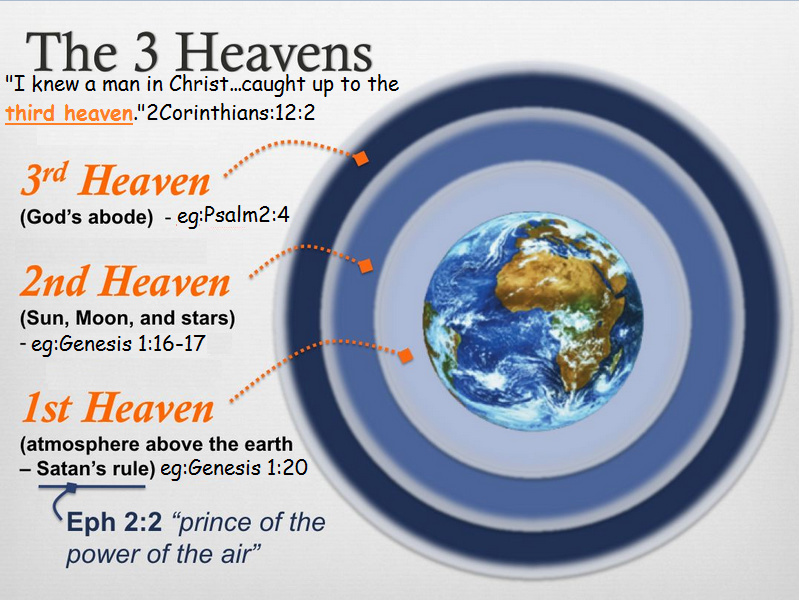 Pls see photo of 3Heavens which causes many interpretations on why Satan was believed to be cast out from heaven only after rapture. The reason is Satan was already cast out from 3rd Heaven immediately during Adam's Fall. then Satan was cast out from 2nd Heaven during Christ Crucification 2000years ago. Rapture to Mountain by SpaceShip? be HEAD of JESUS' BODY RISEN FROM THE DEAD 1st? he is risen from the dead." Head Risen from the dead? as Head of the Body? and bringeth them up into an high mountain apart,"
and He was transfigured before them." Why could not we cast him out?" or mystery of the Rapture? parable in the mouth of Jesus prophesied. 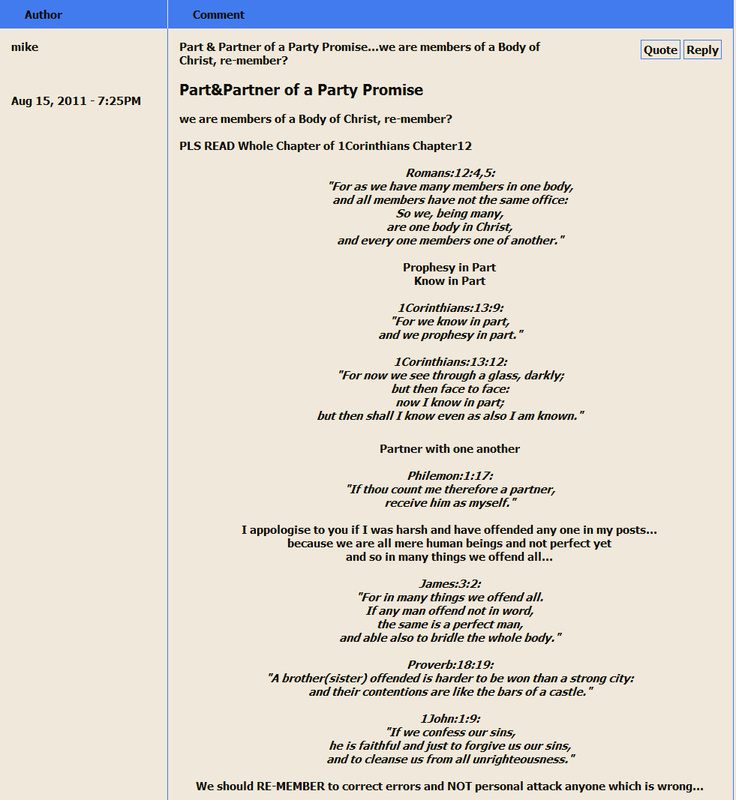 Psalms:49:4: "I will incline mine ear to a parable: I will open my dark saying upon the harp." Psalms:78:2: "I will open my mouth in a parable: I will utter dark sayings of old:"
parables in the mouth of Jesus fulfilled prophecy. Matthew:13:3: "And He spake many things unto them in parables, saying, Behold, a sower went forth to sow;"
Matthew:13:10: "And the disciples came, and said unto Him, Why speakest thou unto them in parables?" Matthew:13:13: "Therefore speak I to them in parables: because they seeing see not; and hearing they hear not, neither do they understand." Matthew:13:18: "Hear ye therefore the parable of the sower." Matthew:13:24: "Another parable put He forth unto them, saying, The kingdom of heaven is likened unto a man which sowed good seed in his field:"
Matthew:13:31: "Another parable put He forth unto them, saying, The kingdom of heaven is like to a grain of mustard seed, which a man took, and sowed in his field:"
Matthew:13:34: "All these things spake Jesus unto the multitude in parables; and without a parable spake He not unto them:"
Matthew:13:35: "That it might be fulfilled which was spoken by the prophet, saying, I will open my mouth in parables; I will utter things which have been kept secret from the foundation of the world." Matthew:13:36: "Then Jesus sent the multitude away, and went into the house: and His disciples came unto Him, saying, Declare unto us the parable of the tares of the field." Matthew:13:53: "And it came to pass, that when Jesus had finished these parables, He departed thence." Matthew:15:15: "Then answered Peter and said unto Him, Declare unto us this parable." Matthew:21:33: "Hear another parable: There was a certain householder, which planted a vineyard, and hedged it round about, and digged a winepress in it, and built a tower, and let it out to husbandmen, and went into a far country:"
Matthew:21:45: "And when the chief priests and Pharisees had heard His parables, they perceived that He spake of them." Matthew:22:1: "And Jesus answered and spake unto them again by parables, and said,"
Matthew:24:32: "Now learn a parable of the fig tree; When his branch is yet tender, and putteth forth leaves, ye know that summer is nigh:"
Mark:3:23: "And He called them unto Him, and said unto them in parables, How can Satan cast out Satan?" Mark:4:2: "And He taught them many things by parables, and said unto them in His doctrine,"
Mark:4:10: "And when He was alone, they that were about Him with the twelve asked of Him the parable." Mark:4:11: "And He said unto them, Unto you it is given to know the mystery of the kingdom of God: but unto them that are without, all these things are done in parables:"
Mark:4:13: "And He said unto them, Know ye not this parable? and how then will ye know all parables?" Mark:4:33: "And with many such parables spake He the word unto them, as they were able to hear it." Mark:4:34: "But without a parable spake He not unto them: and when they were alone, He expounded all things to His disciples." Mark:7:17: "And when He was entered into the house from the people, His disciples asked Him concerning the parable." Mark:12:1: "And He began to speak unto them by parables. A certain man planted a vineyard, and set an hedge about it, and digged a place for the winefat, and built a tower, and let it out to husbandmen, and went into a far country." Mark:12:12: "And they sought to lay hold on Him, but feared the people: for they knew that He had spoken the parable against them: and they left Him, and went their way." Mark:13:28: "Now learn a parable of the fig tree; When her branch is yet tender, and putteth forth leaves, ye know that summer is near:"
Luke:5:36: "And He spake also a parable unto them; No man putteth a piece of a new garment upon an old; if otherwise, then both the new maketh a rent, and the piece that was taken out of the new agreeth not with the old. Luke:6:39: "And He spake a parable unto them, Can the blind lead the blind? shall they not both fall into the ditch? Luke:8:9: "And His disciples asked Him, saying, What might this parable be? Luke:8:10: "And He said, Unto you it is given to know the mysteries of the kingdom of God: but to others in parables; that seeing they might not see, and hearing they might not understand. Luke:8:11: "Now the parable is this: The seed is the word of God." Luke:12:16: "And He spake a parable unto them, saying, The ground of a certain rich man brought forth plentifully:"
Luke:12:41: "Then Peter said unto Him, Lord, speakest thou this parable unto us, or even to all?" Luke:13:6: "He spake also this parable; A certain man had a fig tree planted in his vineyard; and he came and sought fruit thereon, and found none." Luke:14:7: "And He put forth a parable to those which were bidden, when He marked how they chose out the chief rooms; saying unto them,"
Luke:15:3: "And He spake this parable unto them, saying,"
Luke:18:1: "And He spake a parable unto them to this end, that men ought always to pray, and not to faint;"
Luke:18:9: "And He spake this parable unto certain which trusted in themselves that they were righteous, and despised others:"
Luke:19:11: "And as they heard these things, He added and spake a parable, because He was nigh to Jerusalem, and because they thought that the kingdom of God should immediately appear." Luke:20:9: "Then began He to speak to the people this parable; A certain man planted a vineyard, and let it forth to husbandmen, and went into a far country for a long time." Luke:20:19: "And the chief priests and the scribes the same hour sought to lay hands on Him; and they feared the people: for they perceived that He had spoken this parable against them." Luke:21:29: "And He spake to them a parable; Behold the fig tree, and all the trees;"
John:10:6: "This parable spake Jesus unto them: but they understood not what things they were which He spake unto them." parable in the mouth of the wise. Job:27:1: "Moreover Job continued his parable, and said,"
Job:29:1: "Moreover Job continued his parable, and said,"
Ezekiel:17:2: "Son of man, put forth a riddle, and speak a parable unto the house of Israel;"
Ezekiel:20:49: "Then said I, Ah Lord GOD! they say of me, Doth he not speak parables?" Ezekiel:24:3: "And utter a parable unto the rebellious house, and say unto them, Thus saith the Lord GOD; Set on a pot, set it on, and also pour water into it: "
Micah:2:4: "In that day shall one take up a parable against you, and lament with a doleful lamentation, and say, We be utterly spoiled: he hath changed the portion of my people: how hath he removed it from me! turning away he hath divided our fields." Habakkuk:2:6: "Shall not all these take up a parable against him, and a taunting proverb against him, and say, Woe to him that increaseth that which is not his! how long? and to him that ladeth himself with thick clay!" parable in the mouth of fools. Proverb:26:7,9: "The legs of the lame are not equal: so is a parable in the mouth of fools...As a thorn goeth up into the hand of a drunkard, so is a parable in the mouth of fools." Numbers:23:7,18: "And he[Balaam] took up his parable, and said, Balak the king of Moab hath brought me from Aram, out of the mountains of the east, saying, Come, curse me Jacob, and come, defy Israel...And he took up his parable, and said, Rise up, Balak, and hear; hearken unto me, thou son of Zippor:"
And he took up his parable, and said, Balaam the son of Beor hath said, and the man whose eyes are open hath said: ...And when he looked on Amalek, he took up his parable, and said, Amalek was the first of the nations; but his latter end shall be that he perish for ever. And he looked on the Kenites, and took up his parable, and said, Strong is thy dwellingplace, and thou puttest thy nest in a rock...And he took up his parable, and said, Alas, who shall live when God doeth this!" Lamentations:4:2: "The precious sons of Zion, comparable to fine gold, how are they esteemed as earthen pitchers, the work of the hands of the potter!" Contact Point or Territorial Area.